If you’ve never been there, or even if you have and may not remember it, you may be thinking, what a beautiful mansion or resort hotel! Well, it did house special guests. 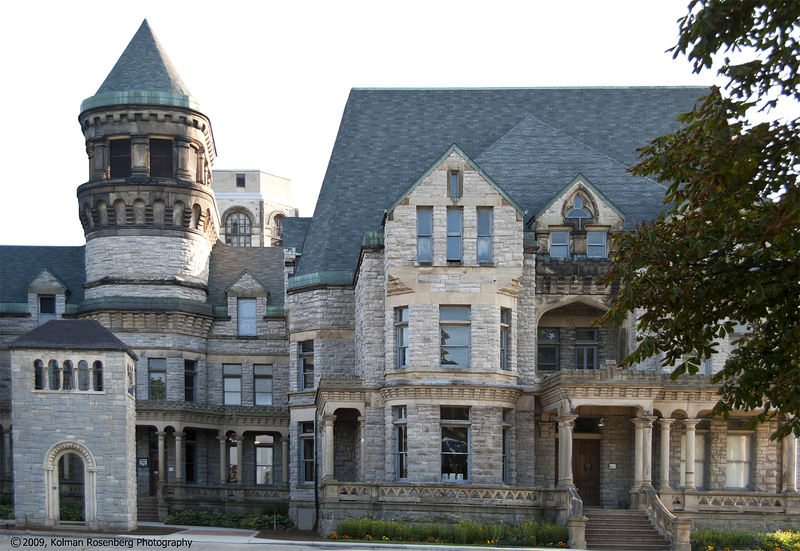 It is the administration building at the old abandoned Mansfield Reformatory, one of Ohio’s former maximum security prisons! I don’t think they build them like that anymore! Inside the walls however, tells a very different story! A rusting 2 prisoner cell. Closed in 1990, the facility now sits as a rusting, peeling edifice of stone, steel and paint flakes. Tours are available on weekends with special emphasis on ghost tours. The facility has quite a reputation for being haunted! The one and two person cells were very small and confining and were stacked like animal crates one on top of another for 5 and 6 stories. 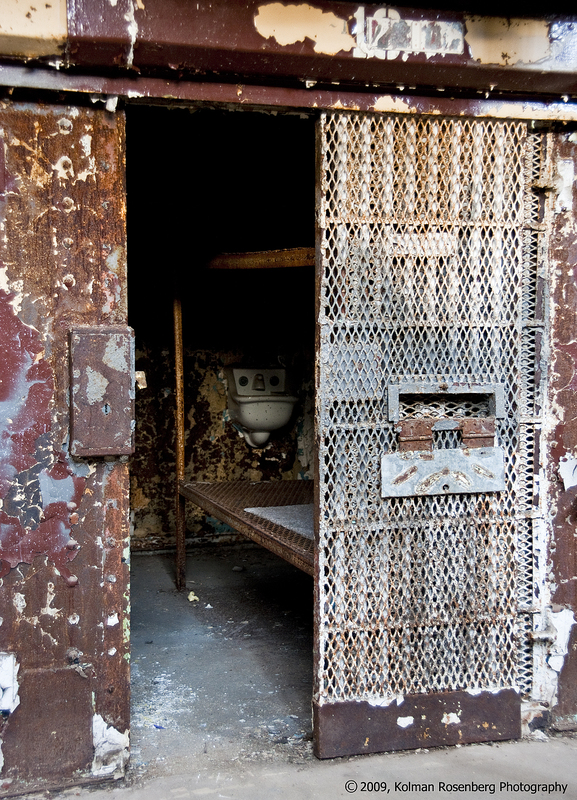 Solitary confinement cells had solid steel doors with only slots for passing food in and for observation. Cells stacked to form a cell block. There is a new, modern facility now built next door. 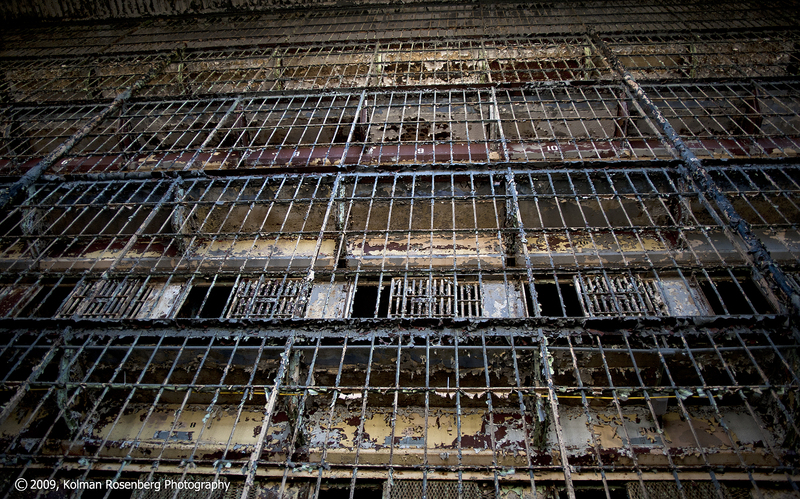 It looks much different and reflects society’s different view of incarceration today. 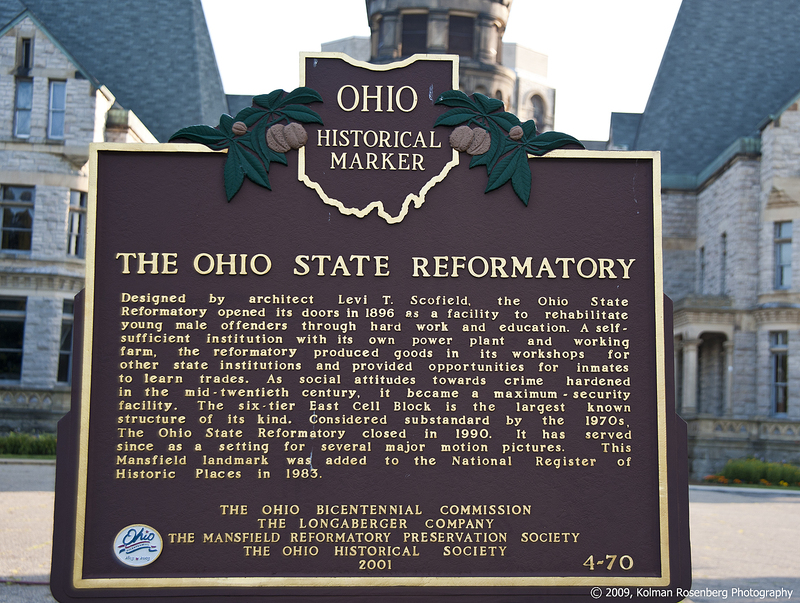 The history of the Mansfield Reformatory includes the filming of a number of major motion pictures. Most notably, “The Shawshank Redemption” and scenes from “Air Force One”. About an hour and a half south of Cleveland, the facility makes a fascinating subject for photographers! Beauty on the outside, something else entirely on the inside! What a contrast. They do warn however that the peeling paint contains lead and may pose a hazard. This entry was posted in Uncategorized and tagged administration, building, cellblock, cells, Cleveland, confinement, ghost, Halloween, haunted, hazard, historical, incarceration, lead, Mansfield, Mansfield Reformatory, mansion, marker, maximum, ohio, paint, peeling, Photographer, photography, prison, security, society, solitary, steel, Stone, Travel. Bookmark the permalink. It certainly looks like a fascinating building – lovely photographs! Thank you for your nice comment! I just checked out your blog and like it very much as well. An interesting topic! Where are you originally from? I grew up in Wales but I spent a lot of time living in or around London before coming to Berlin. Thanks for taking the time to check out my blog. Interesting, sounds like your move to Berlin is quite interesting! Thanks! As always, thanks Carole! It’s an interesting place! What a fabulous piece of history. Thanks for sharing. Thanks for the comment Eva!